Phased had the most liked content! Bambi, If you have the files in windows.old they wont affect your new operating system, you should be perfectly fine. Just run defrag and chkdsk from the run command panel and you will fix any OS issues/speed problems. Did you use an actual windows disc or a recovery disk? The recovery disk will just cause everything to happen again because of all the preloaded softwares. What OS? If you were running 8.1 you have a recovery partition. Here's a link directly to microsofts kbase on doing so with 8.0+ http://windows.microsoft.com/en-us/windows-8/restore-refresh-reset-pc If you are running any other version of Windows you most likely will not have a recovery partition. Another thing you can do which has helped me in the past is booting into safemode which your computer can be forced into. Safemode itself is worthless other than shutting off all processes. The technique I'm going to tell you can cause serious issues so make sure you follow it exactly. Please ask any questions if you don't understand. This process works on windows xp, vista, and 7. Once you have booted into safemode (press f8 before the windows loading screen) if F8 doesn't work (some computers are configured differently) try F10. Then Once the computer has fully booted press the Start Button and use the microsoft search function. You will then want to type in msconfig. Once the program has loaded you will see a console just like this: Simply move to the startup tab and hit disable all. Then hit OK. Once it disappears you will be asked to restart the computer. Viola. If this doesn't work then you are better off reformatting. As for a way to do so, unless you have the dell reformat/recovery disk you wont be able to really do much. If you are open to a new operating system, I would suggest Ubuntu, its pretty fun to use and its free. There's even a way to install it onto a USB to install on the laptop. The problem with dells is that its set up to break down, they load so much junk on the computers that it causes issues like these. Please let me know if you have any questions. I've gone through a few dogs over the years and I'll say the one I connected with most was my dog Buddy. He was pit and rot with a little mix of something else but he was such a sweet heart and gentle. He used to care a lot, if you looked sad or were crying he would come over and put his head on you. I know your pain, I occasionally still feel sad when ever I think about him. He unfortunately had some complications and was only with us for 8 years. I know your pain, you don't have to move on, you don't need to replace, nothing will ever fill that spot, but you can get a new companion to help you through it. Ems, I do all the shipping for the company I manage, I always prepay for shipping which saves me a lot of time. I just have to go in and drop stuff off. Tonight I had 5 items sell. only 1 item sold for an actual profit. The other 4 sold for $0.01, I actually make more off of the shipping than the item, but considering the item was free I don't really care. The one that sold sold for $27.00 flat. I have a bunch of toys and other stuff listed. everything's $1.00 or less so I can build up feedback. Bambi, I have a child, and I wash all of his toys before he plays with them anyways, so it wouldn't matter to me if someone else washed them before me, I'll still be doing all the work anyways. Thank you for the input though, I'd hope that no one would use any liquid on an electric toy! Either way I'm pretty happy with the initial sales, I have a tea set I bought for $50 that is worth $400, its in perfect condition too. I'm hoping to build up to sell that. Thanks for the information though guys! Look for a couch at big lots. Better quality than ikea and pretty cheap to. I'm working about 16 hours a day everyday. Looking for a new job (because the one I'm managing is really slow right now. And some fraud happened a little while ago that took us for $50K). My boss isn't planning to fire anyone just reduce hours, and I can't really afford to work less hours even with my own business going. Been focusing on my own business a lot to try and make up for the business I manage. Trying to sell on ebay, unfortunately people don't like to take risks with 0 feedback. Thats about it though! That's basically how it starts, we have a bunch of regular customers, its funny but one of them sends us hundreds of phones, they get them for free and they really make a killing. But most do the same thing your looking to do. Be very careful with samsung phone's, after all if the digitizer is damaged at all the phone is worthless. Even if you swap the glass the whole point of the phone is gone, and because samsung has their phones patented no other company can make the LCD's in them. Even buying them at any monetary amount would be a loss at that point unless you develop the contacts at one of the korean/chinese factories and pay them under the table to fix the screen. Pretty much impossible. Just be very thorough on the devices, I don't know how meticulous you are at inspecting devices, but even the smallest scuff can drop the price when reselling it. Most people try to price their sales on eBay. I really suggest watching some youtube tutorials on different inspections, both apple devices and samsung devices have different types of inspections. And lastly if you buy a stolen one you can't recoup your costs, so be careful on that aspect. I would even suggest calling the carrier before buying it. And I know I said lastly with that one but just as a rule of thumb, if you've never heard of it, its not worth it. For example, my friend keeps trying to sell me his HTC DNA, he's told me the specs and mentioned how its the best phone hes ever had. But the resell value is between 80-180, and thats if it sells. A lot of times you could end up sitting on a device for a long time. Just keep positive about it and don't break the bank! Let me know how its going, I look forward to hearing of your successes! Emsley, One of the companies I manage does device reselling. This is essentially exactly what we do buy them at or slightly above the value of our competitors and then turn around and resell them for a small profit. We have a mid size operation although we have a very small amount of employee's and volume. I'll start with the important things to make sure of: 1. Make sure the devices you buy are worth buying. ie no apple ID locks, or severe mechanical issues. Also if they are black listed most people wont buy them. It decreases their value significantly. 2. Ad's are never free, and if you get free ones there will be a severe downside to them, for example usell.com charges from $20-$50 per device depending on the type of device. 3. Look into CheckMEND. Its a small charge, but it will allow you to double check a devices status. Now I would say its not so much luck as it is knowledge. I'm in America, but if you get a lot of devices I could move them for you easily with those marginal profits you're looking at. As for your original question, hustling free ad sites, I don't really suggest it, most aren't reputable, and most wont get you traffic because they're advertising on wheelchair sites or something. I'll send you a direct link to my companies website that does mobile device purchasing. We didnt really have participation to have a real winner. I know this is an older post, but I stumbled upon something that proves Goku would beat Superman. Enjoy! Bambi - SAO ep 14-25 is quite good as well. Most people rag on it because they think 13 should have been the logical end, so I can see why you would stop there. My personal opinion is that it goes into a new direction after that. If you liked SAO, you should see Log Horizon. Its almost the same thing. And of course Accel world, which is the very weird. The manga's intertwine a lot with SAO. It's weird. Ems - Akira is a cult classic. Although not everyone likes it, it is something that usually everyone has seen. If you like these older style anime's you would like Berserk. Its really graphic, I would say the most bloody anime to ever be put on the shelves. Most say Elfen Lied is the bloodiest, berserk makes elfen lied look like a childrens show. I prefer their native language as well, its usually Japanese, I know that ninja scroll and akira are japanese. I do not recall Project A-ko. Afro samurai is funny, voiced by Samuel L Jackson. I have not seen spriggan and did not watch all of Vampire Hunter D. Veristic - I do not read anime's as much anymore since I'm usually quite busy. I used to read the short hard to find series like Junk Wars and so on. I don't enjoy the very long drawn out manga's like Naruto or bleach. I still have a box of manga's around somewhere. I have Berserk, Ragnarok Online, Junk Wars, and King of Bandit Jing. I think I have a full metal panic from a long time ago too. Making money - whats worked for you? Two things, bar's do make a lot of money however unless your the main bartender you get the crappy shifts. Most people don't go to bar's because 1. they cant smoke in them anymore, and 2. theres usually old people there. And its nearly impossible to get in at a popular place. Youth are the ones that tip better (surprisingly) they are very loose with their money in bars. Another thing to add, barbering is a great profession but keep in mind if you get hired in a shop you have to pay rent to the shop. Unless its a brand like "SuperCuts" though I'm certain those are only in the US. The way most barber shops work is: Your employee's are contracted and pay you per customer. Lets say a barber charges $30 per cut, but you have to pay the shop 30% of your make, so that's instantly reduced to $20.00 as per your agreement for using the space in the shop. Additionally they charge a storage fee for you to continue to use the shop which is usually a set monetary amount. Lets say $500 a month. So to really be great at it the shops got to be really popular, and secondly you have to be very good to get repeat business. Repeat business is how most barbers make their money. I used to see the same barber for 12 years, then I moved away, I still occasionally drive the distance because he cuts my hair perfectly every time. Being self employed is a very big benefit. Specially for programmers, you literally only have to stamp your name on your project to retain all rights to it. And truthfully you can make anything, with the world living in their phones now a days all you need is a popular game and you could be very rich over night. It does need appeal and not everyone is artistic enough to do the design and coding. I'm self employed, and my company is rather simple. No one operates their business like mine so I have originality, even in the heavily diluted market that I'm in. 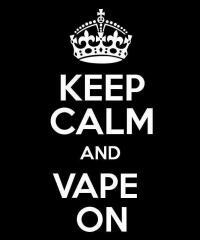 I make vapors for e-cigarettes. I've gotten my cost per bottle down to $0.60 each, and I can reduce it further if I chose to use lesser quality stuff or simply spent more money. My products retail for $12.99. my markup gain is over 2100%. And it sells quite easily, although I usually sell directly to shops which buy it from me for $6.00 a bottle. Still 1000% markup. I do sell them online for the full retail value. I have competitors that say they have the best pricing on the market and are spending over $1.50 to make each bottle. Its funny because their products are very generic and everyone has them. So at the end of the day if you have a product thats great, and you properly market it, you can make what you want to be making. I don't do it full time because I run another persons company, but I know people that make $5,000 a month, even $20,000 a month selling this stuff. My top competitor makes $2,000,000 a year. I could shatter their numbers quite easily. It takes smarts to do this, and some of my competitors have neglected to do things properly and it has costed all of my competitors dearly as things are currently getting tougher. There's been some deaths due to mixing nicotine incorrectly or cutting certain flavors with harsh chemicals like arsenic and lead. Still my industry is flooded, theres thousands of little companies like mine starting up doing this stuff, and no real big competitors are this time. This has worked for me, it may not work for you. There is a moral side to this that prevents people from making it too. I have seen attack on titan, it's pretty awesome. I watched the entire series already. Also deadman wonderland is fantastic. This might sound weird but deadman wonderland made me want to watch Eureka 7 because of the similar drawing styles. So I'm around episode 40 on Eureka 7. I wish they had more episodes of deadman wonderland. I will check out Psycho-Pass. I want to give Magi another chance, I always feel like that anime gets very generic. And now there's a second season. I suppose I should have stated the anime's I'm currently watching. Naruto Shippuiden Eureka 7 Basquash! (Rewatching this series because its so amazing) Madoka Magical Girl (very on the fence about this anime, only seen 1 episode and it seems way too girly for me, its sitting in the netflix queue) Sword Art Online (dubbed version sitting in netflix queue) figured I watched in in japanese 2 times now I should see the English version. If you havent seen Basquash! or Gakuen Mokushiroku: High School of the Dead I really suggest either of them.